I had been to many kinds of ceremonies before, but the Purple Heart ceremony was a new one to me. Part of my job was casualty operations, including all reporting, up to and including submitting wounded Soldiers for Purple Hearts. 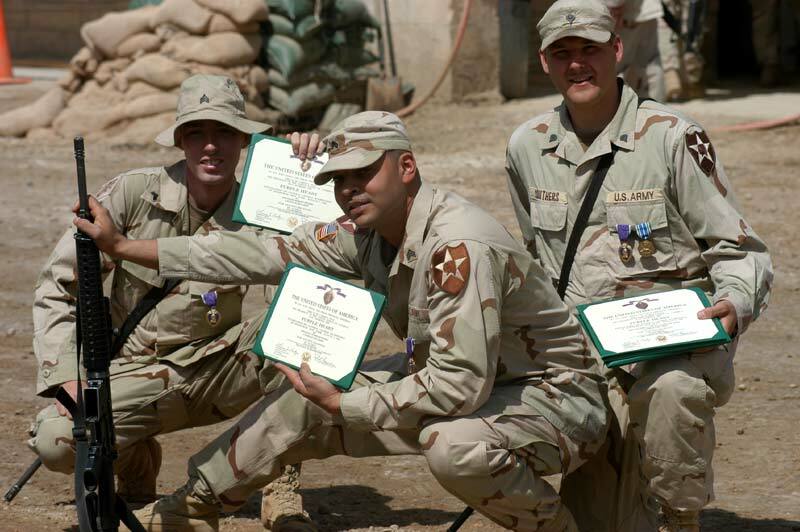 The biggest problem we had in this area was having enough Purple Heart medals to pin on the Soldiers.